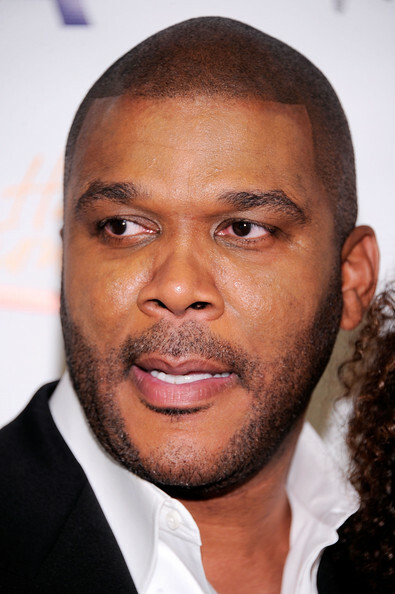 *On the heels of extending his first look deal with Lionsgate for another two years, Tyler Perry is about to begin filming “Good Deeds,” a new production for the studio in which he’ll once again work both in front of and behind the cameras, according to the Hollywood Reporter. In addition to directing and writing the original screenplay, Perry will play the title character, Glen Deeds, in the romantic drama about a successful entrepreneur who’s about to get married when he suddenly finds himself more interested in a down-on-her-luck single mother than his uptown fiance. Meanwhile, Perry’s latest film for Lionsgate, “Madea’s Big Happy Family,” scheduled to open nationwide April 22. As previously reported, Perry has also been tapped to play the detective Alex Cross in QED International’s “I, Alex Cross,” based on the novel by James Patterson. Next ArticleAsk Tamara: So Many People Have Let Me Down! Idris Elba was originally tapped to play Alex Cross which I think would have better. I wonder what happened there. Tyler maybe could have played the role of Alex’s best friend, Sampson. Unfortunately, bad casting hurt the first Alex cross movie with Morgan Freeman in the role. James Patterson is doing his most popular character a disservice by continually choosing the wrong people to play Alexis. The film is also going to tank if they don’t feature at least cameo appearances of Alex’s family — Nana mama, Damon, Janie, and lil’ Alex. As for this new movie, Tyler isn’t a strong enough actor to play a lead. Even when he’s Madea, he’s NOT the lead and is usually a secondary or tertiary character. Tyler should stick to directing and work on developing his craft in that area. I am not feeling Tyler Perry as Alex Cross 🙁 They should have done a poll & let the public decide, we are the ones who buy the books. This movie sounds like all his other plots. All simplistic and rudimentary. I probably can figure out how its gonna end without seeing the movie. TPerry is wack and harmful to black stereotypes. Who told him he was a good actor? Dag women hate when you diss their boo Miss Perry! LOLOL. As if he is the Hollyweird Messiah of Blacks or something.